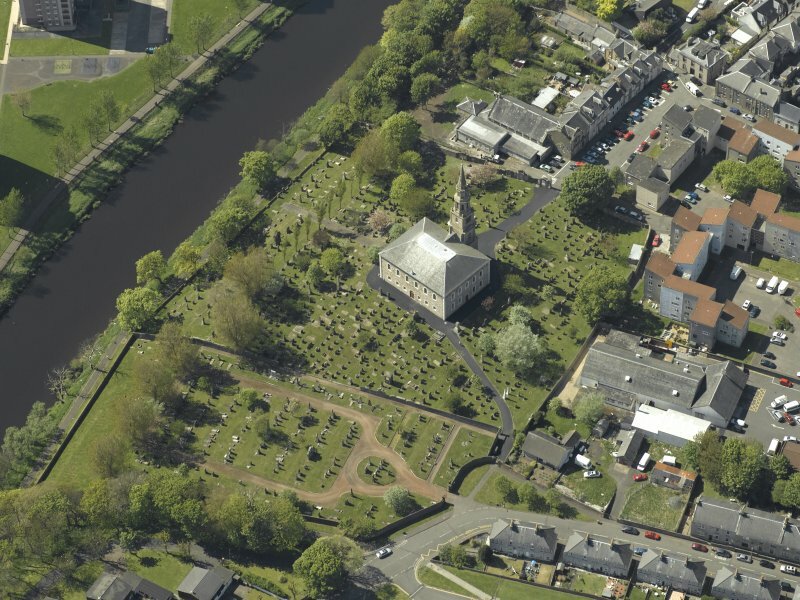 Oblique aerial view centred on the Church with the churchyard adjacent, taken from the NNW. 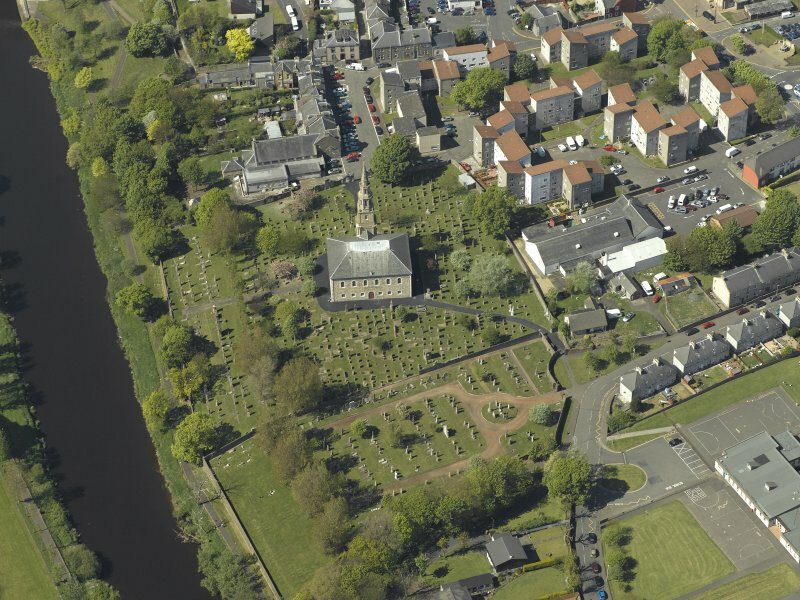 Oblique aerial view centred on the Church with the churchyard adjacent, taken from the SE. 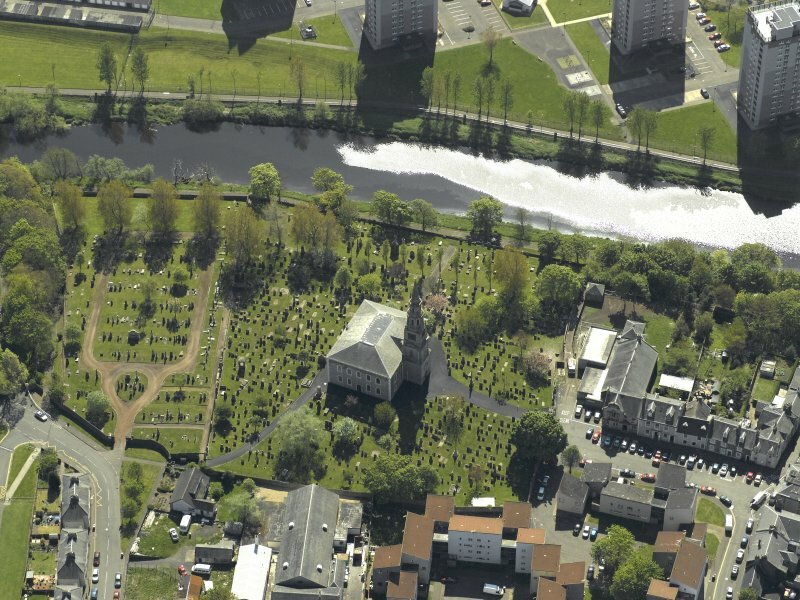 Oblique aerial view centred on the Church with the churchyard adjacent, taken from the E.
Oblique aerial view centred on the Church with the churchyard adjacent, taken from the NE. 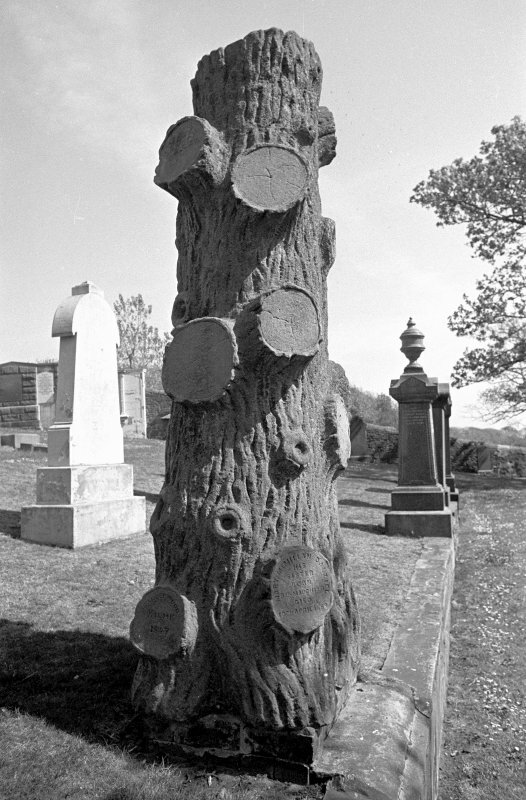 Scanned image of view of rusticated headstone.1881. 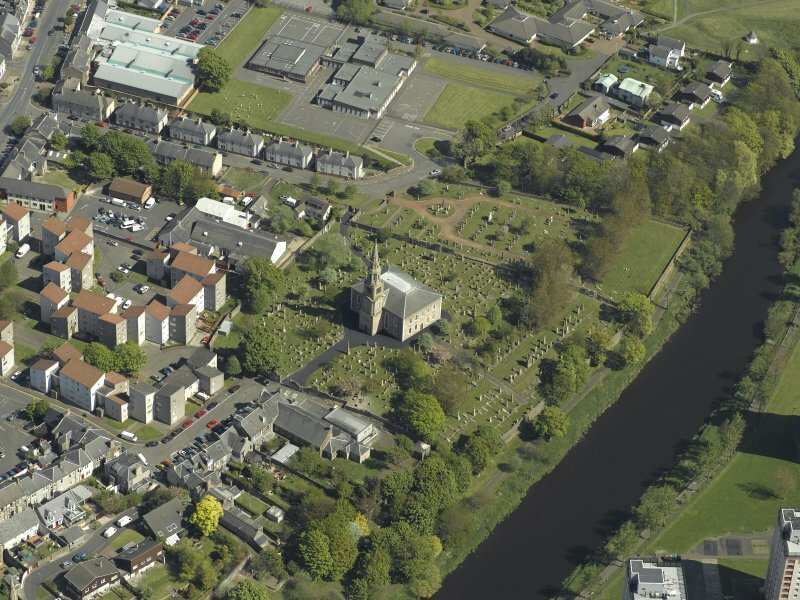 Oblique aerial view centred on the Church with the churchyard adjacent, taken from the NW. Reels 4 - 6 (Irvine Area), accompanied by index on microfiche. 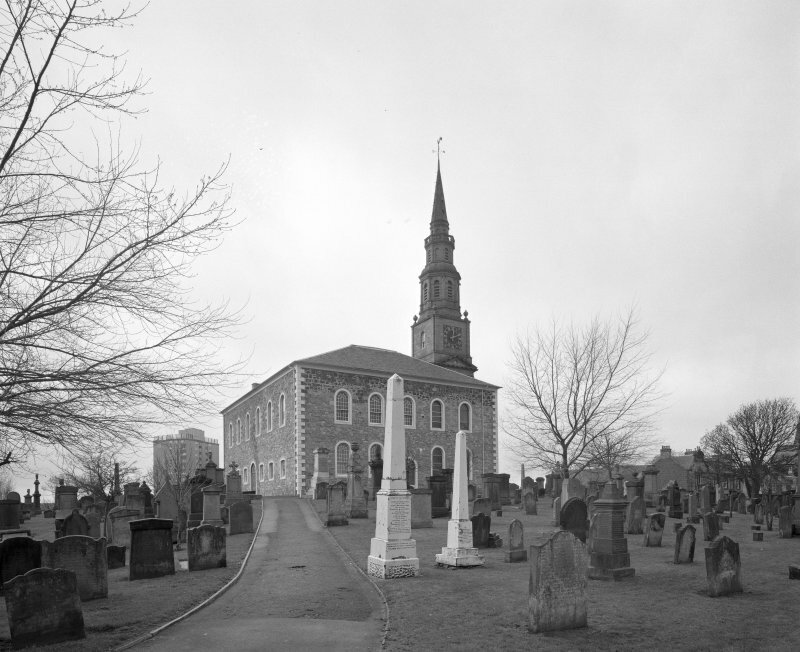 Church built 1774 partly on the site of its predecessor, various repairs up to 1830. 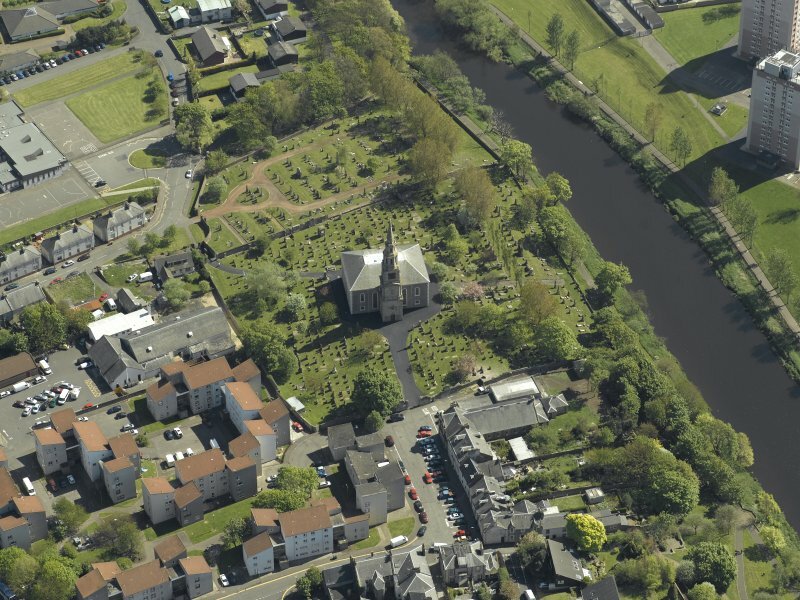 Tombstones in burial-ground date back to 1596 and include that of Covenanters James Blackwood and John McCoull, executed in 1666. 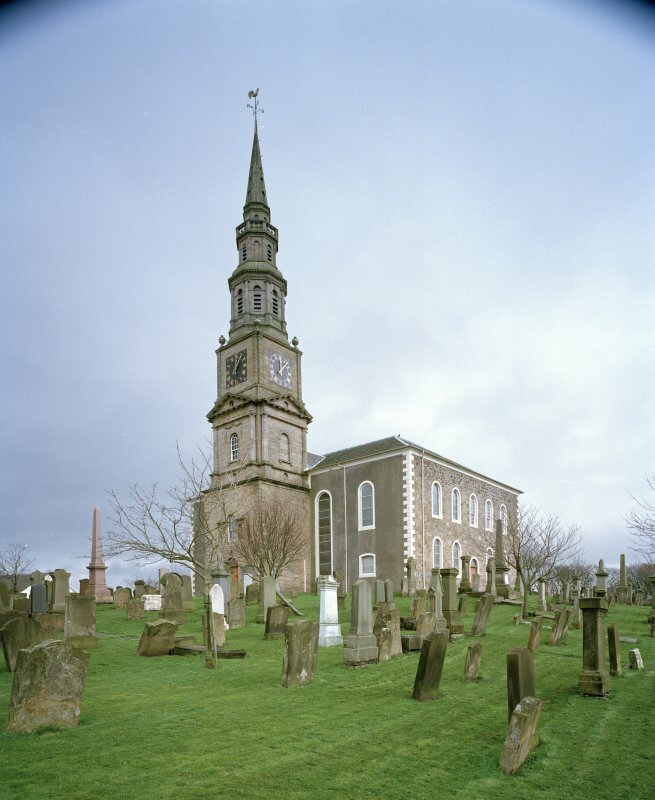 The stone marking the grave was erected in 1823. Pais Reg 1832; NSA 1845; J Gibson 1881; J Thomson 1903; H Scott 1915-61; R Reid 1919; A McJannet 1938; G Hay 1957; I B Cowan 1967; A S Horne and J B Hardie 1974; A T Simpson and S Stevenson 1980.